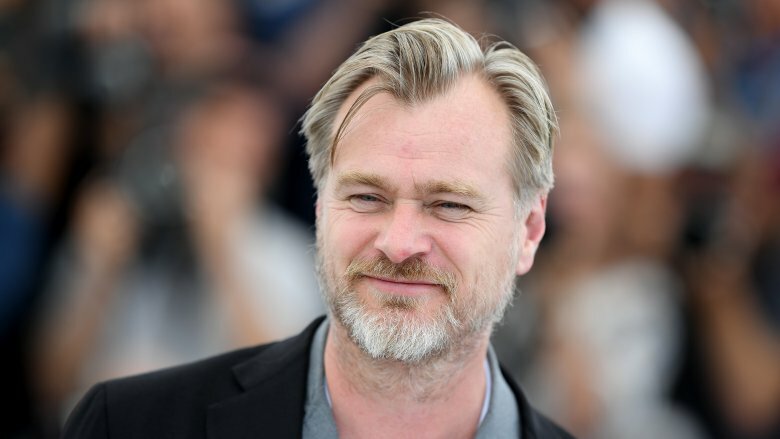 Filmmakers like Christopher Nolan don't come around too often. The director has been enthralling and perplexing moviegoers for the better part of two decades now and shows no sign of slowing down. From making what is perhaps the greatest superhero movie of all time to redefining nonlinear storytelling in his era, the films of Nolan are often simultaneously simple and remarkably complex. They're all rooted in basic human emotions and universal themes that are tremendously easy to comprehend. What's more, characters in Nolan's films often have incredibly simple goals and motivations. Save the human race from destruction. Be the greatest magician to ever live. Catch the man who helped kill your wife. It's not the characters in Nolan's films that are complicated but the techniques he uses to tell their stories. From dense plot twists to nonlinear storytelling and unreliable narrators, Nolan's filmography is littered with confusing moments, arcs, and endings. And of course, there are spoilers ahead because we're here to explain the most confusing moments in Christopher Nolan films. 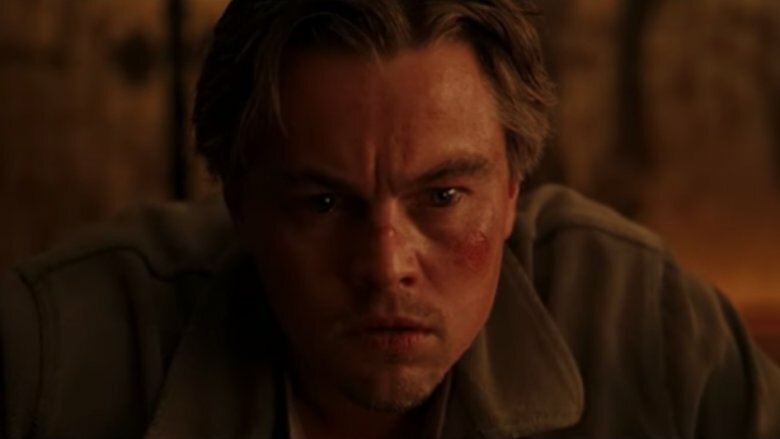 In a filmography made up of some of the most famous endings and plot twists of all time, there is perhaps none more famous than the closing moments of Inception. The film features heists that are carried out in dreams, usually inside other dreams. To help distinguish dream from reality, each character in protagonist Cobb's crew carries a totem. The most famous is the spinning top Cobb carries with him at all times. If he spins the top and it collapses, he's in the real world. If it never stops, it's a dream. The film's ending sees Cobb reunited with his family. He spins the top but instead of waiting for the result, he rushes to see his children. The top spins, and wobbles a tiny bit, but the film cuts to black before it falls. Until that moment we have every reason to believe Cobb is back in reality. So what's actually going on? Despite the fact that Nolan himself won't answer definitively, there are context clues that point to Cobb being in reality. The best evidence is the presence of his children. Throughout the film we're shown that Cobb can't remember their faces. In the ending, he can see them. It's enough to sway us to say it's real. In one way, whether it's real isn't the point. Perhaps the point is that Cobb walks away from the top. He's free. How does the machine in The Prestige work? The Prestige is a quiet gem in Nolan's catalog, a relentlessly compelling and layered examination of two dueling magicians and their obsession with their craft. 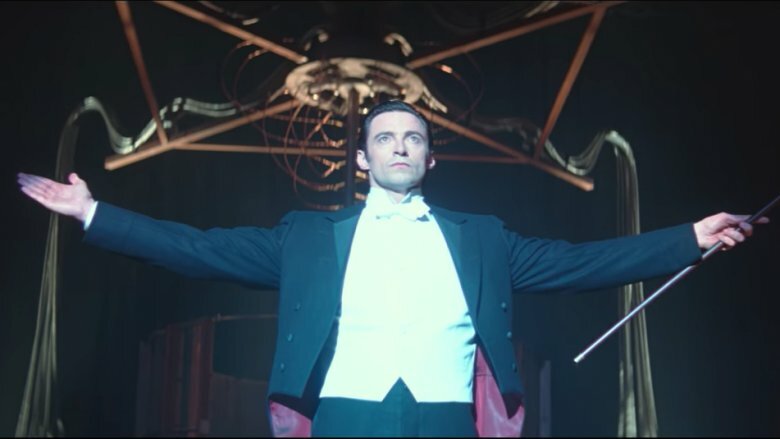 The film takes a massive turn during its second act when, to replicate a trick called The Transported Man (performed by Christian Bale's Borden), Hugh Jackman's Angier travels to America to meet with Nikola Tesla. Tesla builds him a machine that makes Borden's trick real: It creates a clone of Angier and performs a short teleportation. When Angier uses it in his trick, the person standing in the machine is dropped through a trap door and drowns in a vat. The confusion comes in a certain function of the machine not being laid out particularly well: Does it transport Angier to safety and drown the clone? Or does it transport the clone and drown Angier? It's addressed in a brief line of dialogue from Angier in the film's closing, but that facet of the machine's function is actually left up to random chance. It's why Angier believes there's a bravery in his performing this version of the trick—although by the time we see this scene it's certainly not the real Angier speaking. Any given night the Angier operating the machine and performing onstage could be dropped into a tank or transported across the theater. It's never certain which will be which. He potentially faces death every time he steps onstage. 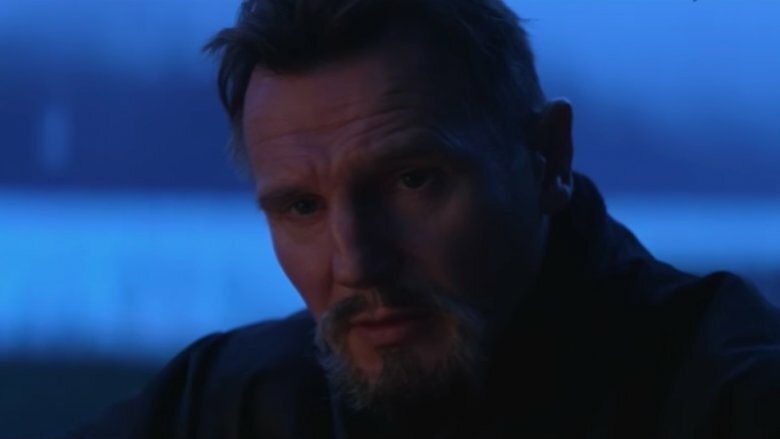 Is Ra's al Ghul real in Batman Begins? Nolan's Dark Knight Trilogy is anchored in a unilateral theme: the idea of a man as a symbol and the relationship between the two. The symbol in this case is Batman and the man behind it Bruce Wayne. The exploration is present in Bruce's journey from orphaned child to legend, an avatar of hope and justice the people of Gotham cling to in their darkest hours. However, Bruce isn't the only man taking up a mantle bigger than himself. It's also done by one of his greatest enemies in Batman Begins: Ra's al Ghul. Or is it Ducard? Ra's is seemingly killed when Bruce escapes the League of Shadows in the film's first act, only for his old mentor Ducard to resurface later claiming he's the mastermind and Ra's al Ghul is a smokescreen. So there is no Ra's al Ghul? Well, that's not exactly the case. It's cemented in The Dark Knight Rises that Ducard is known as Ra's al Ghul throughout his life and operates as the leader of the League of Shadows. However, much like Batman, Ra's al Ghul is a symbol bigger than one man. Ducard himself notes that the League of Shadows has been active for centuries. It must always have a leader and that leader is Ra's al Ghul, an immortal symbol implicitly worn by many men throughout the ages. Ducard is Ra's al Ghul, but he's not the only Ra's al Ghul. Nolan let viewers know what kind of filmmaker he is right off the bat with his 2000 film Memento. The film centers on a man named Leonard Shelby who, thanks to an injury sustained during an assault on him and his wife that leaves her dead, cannot form new memories. Since the assault he has relied on short term reminders like notes and long term reminders like tattoos to keep himself informed. The film depicts his hunt for the man responsible for the assault in jarring fashion. The film opens with its chronological ending and then jumps immediately to its chronological beginning. The scenes that follow work backward from the chronological ending and forward from the chronological beginning, resulting in a mind-meltingly well-crafted—but undeniably confusing—climax. The film's narrative climax takes place chronologically in the middle of the story. We discover that Leonard found his man and exacted his vengeance ages ago but quickly forgot it had happened. Leonard's cohort Teddy, who is killed in the first scene we see because Leonard believed Teddy killed his wife, is revealed in the climax to have been using Leonard for years. Leonard has become so unhinged and lost in his lack of memory that in a moment of anger he leaves himself clues that will convince him that Teddy is the killer. It completely upends our understanding of the film and drastically recolors the character we've been following. 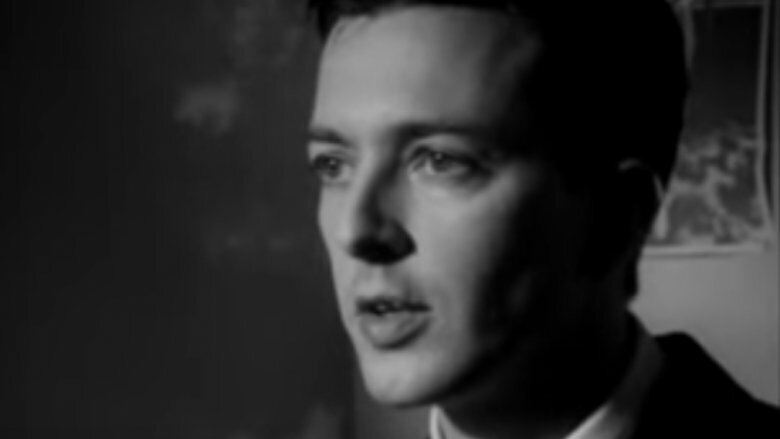 The seeds of the filmmaker Christopher Nolan becomes are present in his 1998 debut Following. 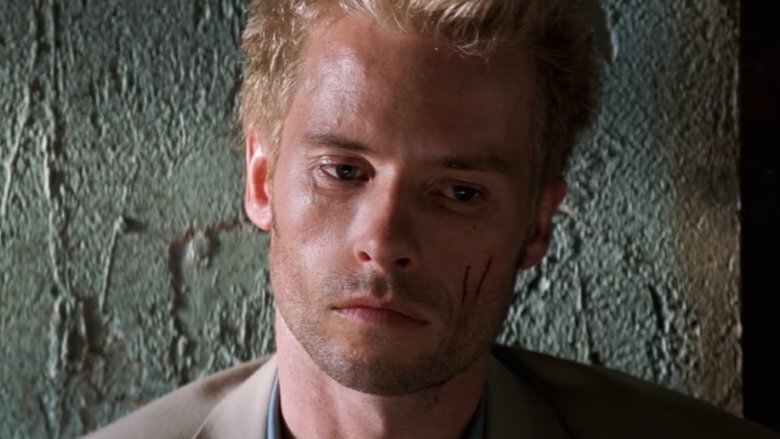 It contains a multitude of common Nolan tropes, including a break from traditional chronological storytelling, noir influence, and twists that upend both the viewers' and the protagonist's understanding of what they've experienced. 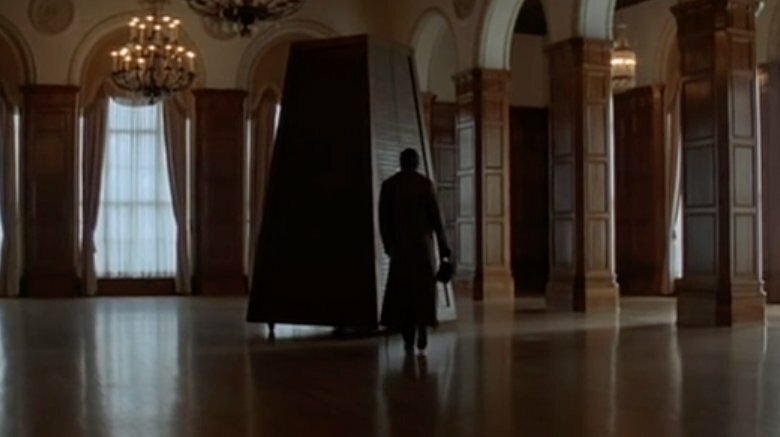 It also contains Nolan's first befuddling ending. Following centers on a character credited only as The Young Man (at one point he calls himself Bill) obsessed with following people. He doesn't do so with malicious intent; he's just addicted to the act itself. Bill finds himself involved in a grander conspiracy when, after following him, he meets a burglar named Cobb. Throughout the film Bill accompanies Cobb on burglaries and becomes entwined in a plot involving a woman known as the Blonde (a classic femme fatale) and a criminal called the Bald Man. Things get out of hand after Bill ends up killing a man. When he turns himself in to the police the twist is revealed: Cobb has actually been working with the Bald Man and has been planting evidence throughout the film to set Bill up to take the rap for Cobb's murder of the Blonde. She, as it turns out, has been blackmailing the Bald Man, so Cobb kills her. Everything from the burglaries to Bill's alias (provided by Cobb) pins the murder of the Blonde on Bill. It's a classic noir twist with a bit of Nolan's personal touch to it. The Prestige, much like Memento, uses a combination of unreliable narrators and nonlinear storytelling. The film's narration is provided by the journals of Borden and Angier, detailing their time as friends and eventual rivals. Clues left in Borden's journal lead Angier to work with Tesla on what becomes the cloning machine. Angier does so because Borden writes in his diary that Tesla is the key to his Transported Man trick. However, as the film reaches its finale, we find out that both diaries are frauds, written with the explicit intent of misleading each magician. It does make you wonder how Angier's collaboration with Tesla ended up being so fruitful if Borden simply intended to send Angier on a wild goose chase. Ultimately, the answer is simple: Tesla's invention of actual magical is an unintended ripple in Borden's plan. His intent is simply to send Angier overseas looking for something that isn't there, wasting both his time and money in the process. However, that Angier's efforts ultimately bear results doesn't mean Borden doesn't win. To match Borden's trick, Angier effectively sells his soul. His use of the machine is a hollow measure that scrapes away at what's left of Angier's dignity. Borden wins long before their confrontation in the basement at the film's close. 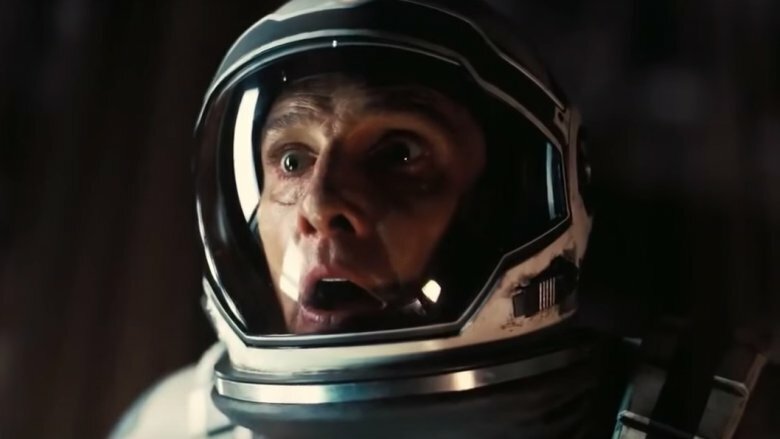 Nolan's 2014 film Interstellar is a sci-fi journey through space and time for the fate of the human race that incorporates real quantum physics and scientific theories into its logic. As your average moviegoer doesn't have a doctorate in quantum physics, many found the film confusing beyond belief, specifically the ghost in the film. Early on, protagonist Cooper's young daughter, Murph, complains of a ghost haunting her room, throwing books around, and seeming to leave her messages. It's later discovered that it's not a ghost but a gravitational anomaly leaving messages that lead Cooper to a NASA base, setting his interstellar journey in motion. A full movie and a whole lot of quantum physics later, we get our answer as to what the ghost really is: It's Cooper. After entering a black hole, Cooper finds himself in a place where the dimension of time is made tangible so he can understand it. He's unable to travel through time while in the dimension but is able to use the only thing capable of bridging dimensions—gravity—to send the messages from earlier in the film, including the NASA coordinates that propel the entire journey into motion as well as the data that can save humanity from destruction. (He does this through Murph's watch in Morse code.) The gravitational anomalies aren't divine or alien. They're Murph's father reaching out across dimensional boundaries to save humanity. Does Bruce survive in The Dark Knight Rises? The Dark Knight Rises ends on a bold note: Bruce Wayne sacrifices his own life to save Gotham City, passing on the mantle of Batman to a new bearer. There's a funeral and everything—albeit no body to bury as Bruce dies in a massive nuclear explosion. However, there's a twist: Much as Bruce dreams about earlier in the film, he and Catwoman end up in a European cafe some time afterward. Alfred notices him, and they smile and nod at each other but that's it. Since Bruce has died in a nuclear explosion and Alfred alludes to this exact vision at this exact cafe as a fantasy earlier, viewers must wonder whether this is real or just all in Alfred's head. All signs point to this being real and Bruce having escaped death. Much of the evidence lies in the revelation that the Batplane's autopilot has been fixed by Bruce, who earlier implies that he has to fly it manually to get the bomb out of the city. He has no reason to lie about that, and there's no way he wouldn't know it had been fixed. Yes, escaping a nuclear blast is a pretty tall order, but he's Batman. Tall orders are kind of his whole thing. 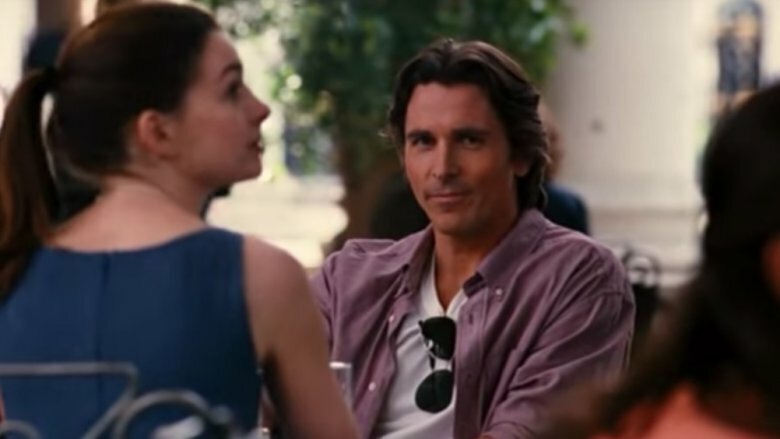 There's no definitive answer from Nolan, but even Batman actor Christian Bale believes that what we see in the film's closing moments is real. Nolan's 2017 war thriller Dunkirk makes the bold decision to depict true events in a nonlinear fashion. The real events took place over the course of a week, but Nolan uses a nonlinear series of intersecting stories to depict the events. With the story revolving around time running out, Nolan's nonlinear narrative maximizes its tension. Unfortunately, it frustrated some who had trouble following the chronology. Dunkirk's three stories focus on characters experiencing the evacuation on land, in the air, and at sea. Figuring out the chronology and the ways the stories intersect throughout the film is easier if you have an understanding of when each story is beginning and the amount of time it spans. The story taking place on land, titled The Mole, takes place over the course of one week of the evacuation. Another, titled The Sea, takes place over the course of the last day of the Dunkirk evacuation. Finally, The Air takes place only over the course of an hour on the last day of the evacuation. 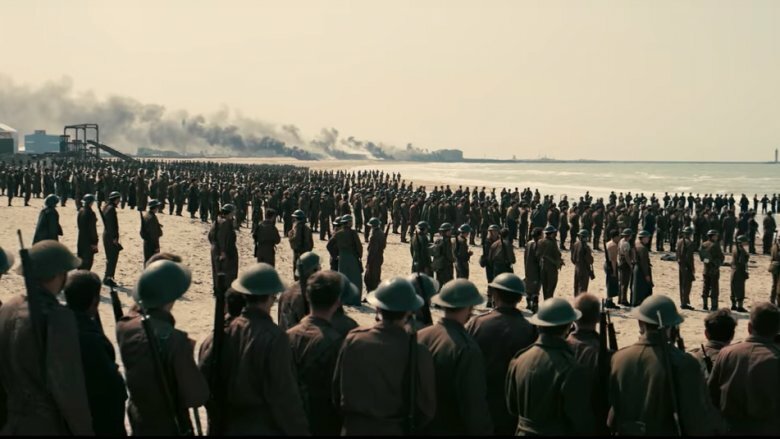 Understanding the linear chronology of Dunkirk makes it far easier to understand the events in the film as well as the powerful journey its characters experience. Nolan himself has said he structured it this way to better depict the experiences and perspective of the soldiers and citizens in each story segment. One of the more impressive facets of Christopher Nolan's Inception is the efficiency with which it establishes the rules and the technology that makes accessing dreams possible. However, facets of the technology's function and the rules of the dreamworld inevitably get jumbled at points given how much setup the film has to cover. This is never more confusing than it is in the climactic third act sequence which hinges on a series of kicks, or physical disruptions that wake people from dreams. By this time, Cobb and his team are three dream levels deep, meaning it will take a synchronized series of kicks in all three layers to jolt them out of it. This is further complicated by Cobb needing to go one layer further into Limbo to find Saito, who has died in the dream. This is why, as the kicks echo throughout the dream levels, Ariadne leaves Cobb in the sinking van to drown. It ensures that he doesn't receive his kick, allowing him to drown in this layer and go on to Limbo to find Saito. It's a remarkably complex setup, but Nolan manages to set all the pieces up for viewers to follow.